Just before the start of the 31 Day Challenge, I received a delightful package of goodies from DRK nails. 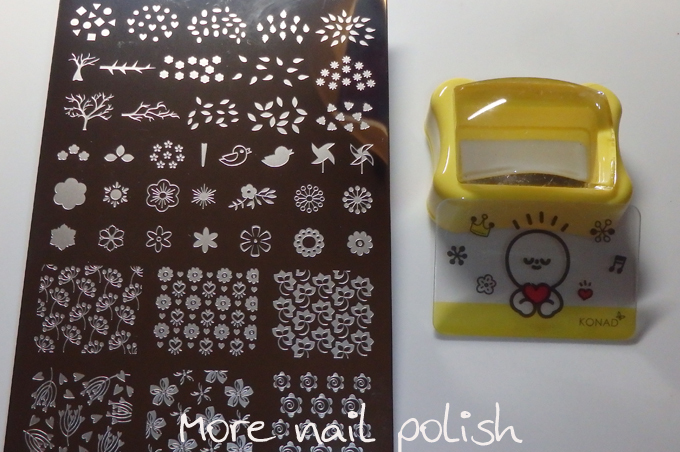 The package had various stamping plates, stampers and stamping polishes and some regular nail polishes as well. I've not had a chance yet to try everything, but I am working my way through them. 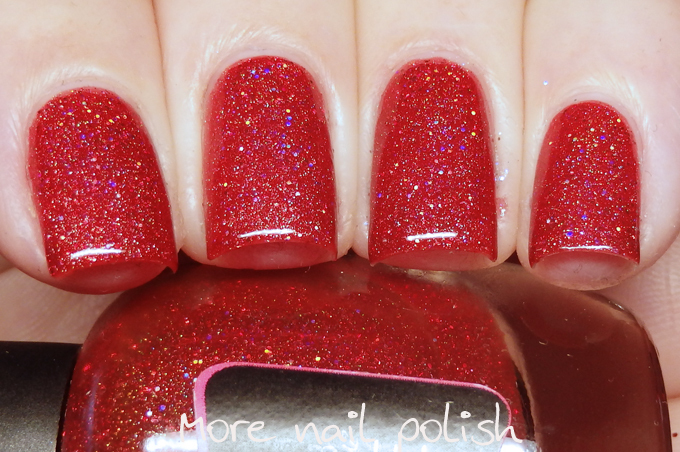 Obviously with that introductory spiel, I've used some of those polishes for today's mani. 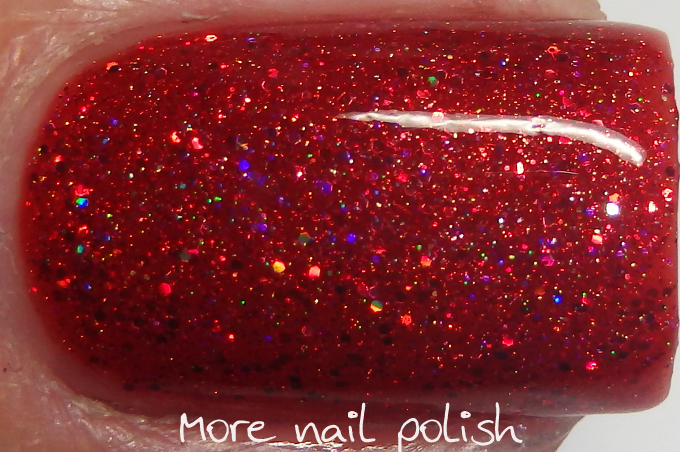 My gradient is a simple glitter gradient using two stunning glitter polishes from Brazilian indie brand Penelope Luz. 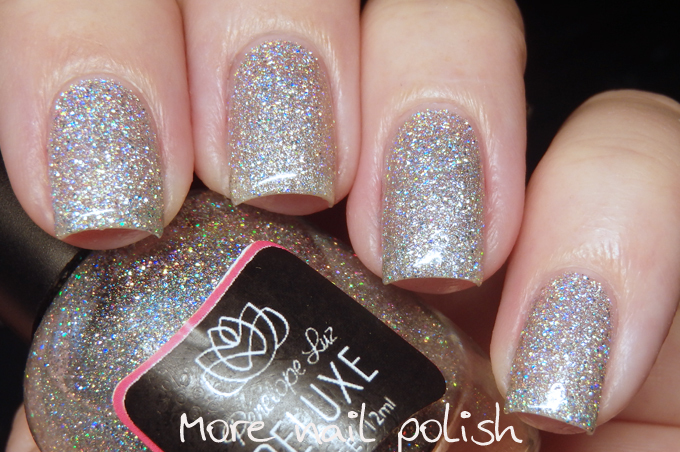 'I said yes' is a fine silver holo, with both microfine holo glitter and powder. 'Le Bouquet' would basically be considered the red equivalent. Despite my photos making it look a little pink, it really is a delicious rich red. The stamping I added was from Konad Square image plate 31, the same one I used for my violet mani. 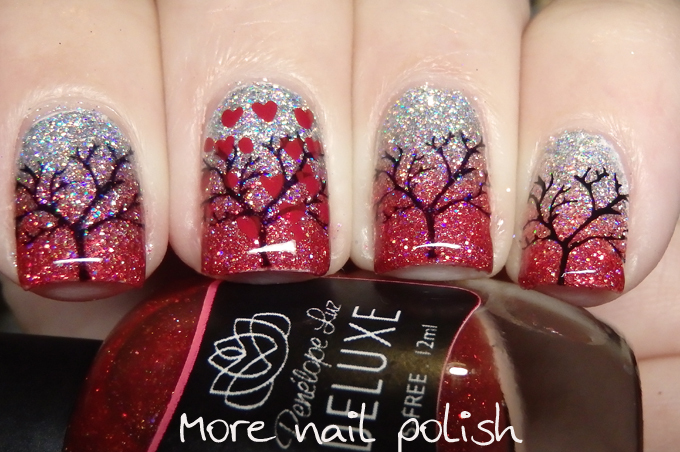 I used the little bare trees and then stamped on finger with some of the red hearts as blossoms. 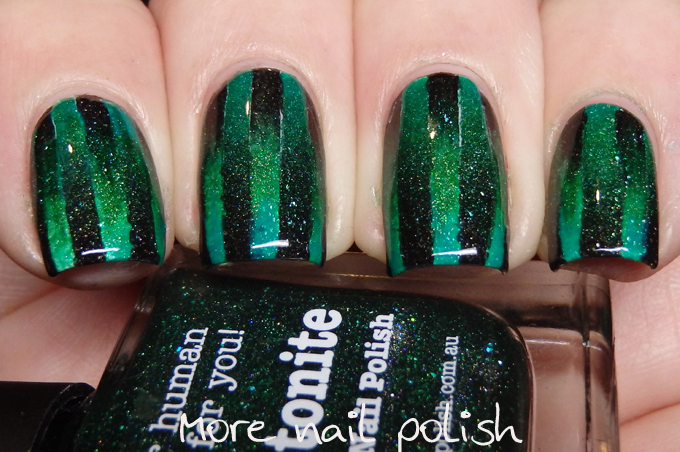 Here are some swatches of both the Penelope Luz polishes, which absolutely do not do these polishes justice. They are both super sparkly and glittery and I failed to capture it at all! 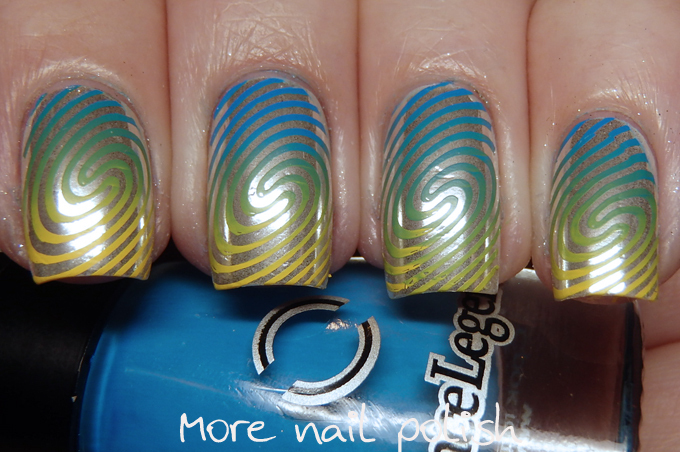 My Gradient nails from 2013. 2014, 2015 and 2016! 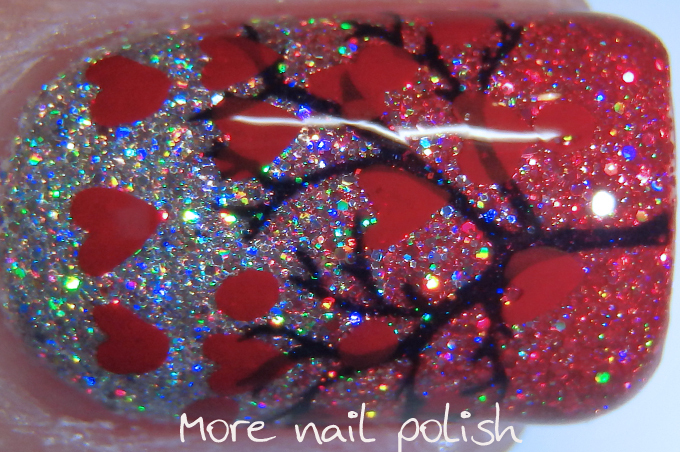 Wow, these polishes look awesome, and I love your design! 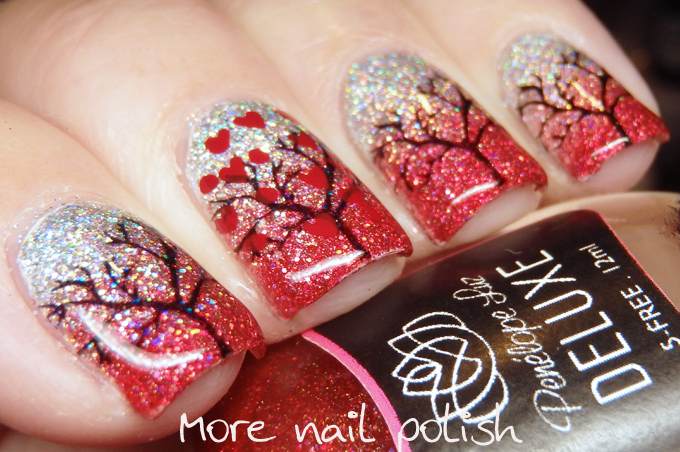 That gradient is so lovely! Beautiful! 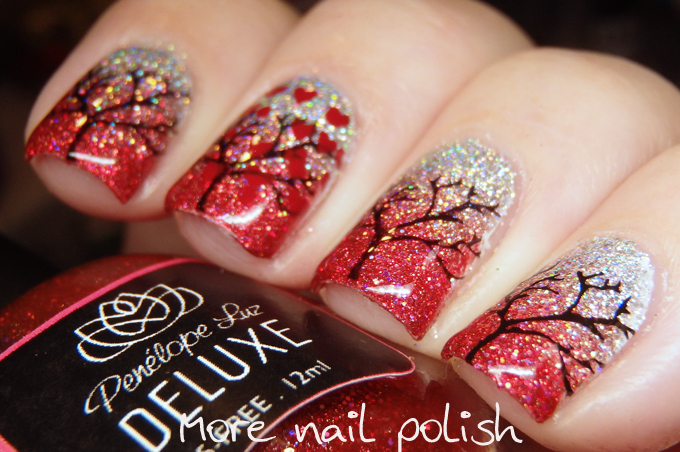 And perfect for both fall, christmas and valentine! Lovely! 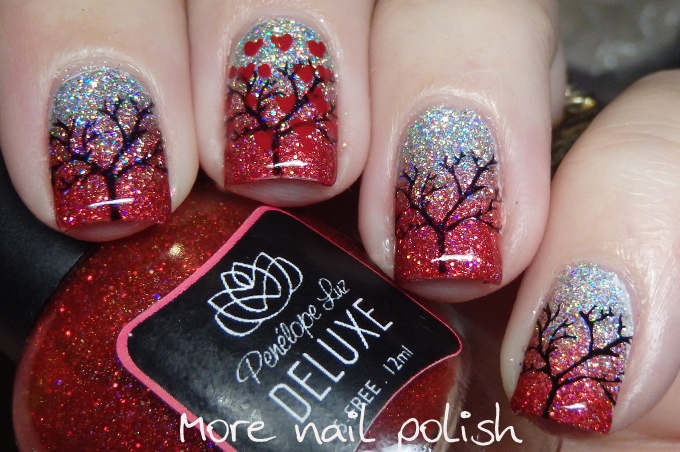 Glittery gradients are the best, this one is just stunning!